Felix Auger-Aliassime started the year at number 108 in the world and four months later he occupies number 33. His climb through the rankings comes as the result of a spectacular start to the season: at 18 years of age, the Canadian reached the final in Rio de Janeiro, the quarters in Sao Paulo and last week he made the semis in Miami, becoming the youngest player in the tournament’s history to reach that stage. For these reasons, the Mutua Madrid Open organisers announced on Monday that it will give Auger-Aliassime a wildcard so that the Canadian can play in the main draw of the Mutua Madrid Open, which takes place from 3 to 12 May in the Caja Mágica. “I’d like to thank Feliciano López, and all the Mutua Madrid open team for inviting me to play in the tournament’s main draw”, said Auger-Aliassime. “I can’t wait to get back to Madrid. I have great memories of my junior career in the Caja Mágica, where I hope to produce some more magic”. 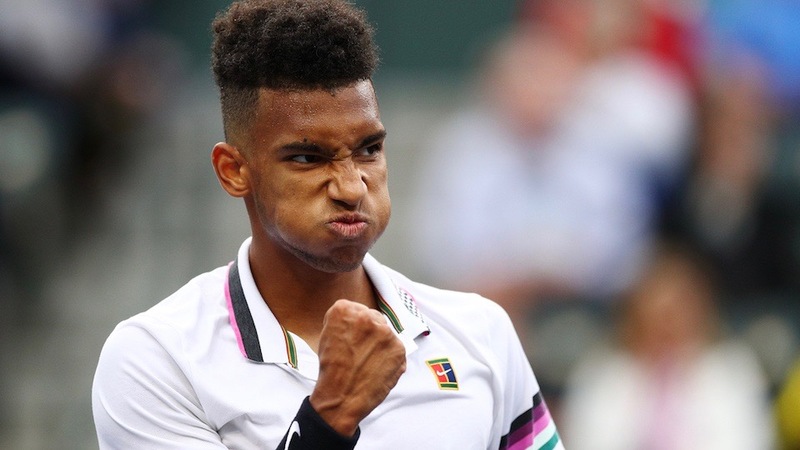 In 2015, Auger-Aliassime played in the Caja Mágica and left as champion. This was in the Junior Davis Cup, and the Canadian helped his country win the famous trophy in a team that also included Denis Shapovalov, today’s world number 20. On Auger-Aliassime’s first visit to Madrid, when he was 15, he impressed everyone who witnessed his matches. “Felix is an incredible player”, said Feliciano López, the Director of the Mutua Madrid Open. “Everything he is doing at 18 years of age is astonishing. He has a spectacular future, with a practically limitless range of shots. He earned his invitation to play in the main draw through his results early this season. I’m sure he will do well. Last year we granted a wildcard to Stefanos Tsitsipas as a rising star. Now, he’s a Top 10 player”. With just 31 days left until the start of the tournament, the Mutua Madrid Open has now granted two of its four wildcards for the men’s competition. The first went to David Ferrer, who will retire from professional tennis in the Caja Mágica. The second, revealed on Monday, is for Auger-Aliassime.